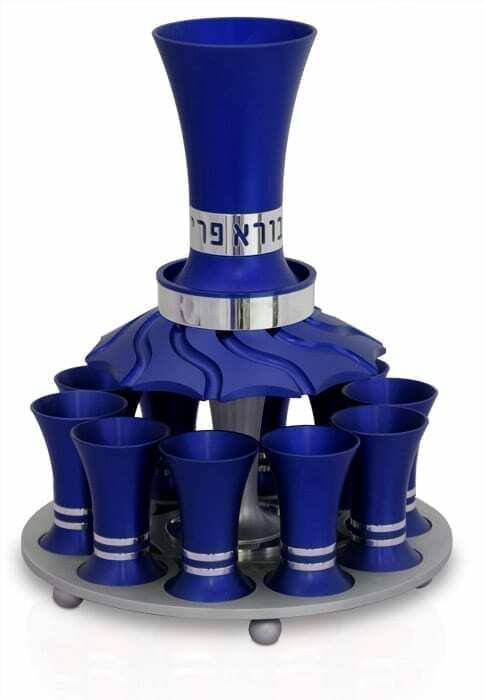 Elegant Kiddush Wine Fountain with 10 liqueur cups made of anodized aluminum. 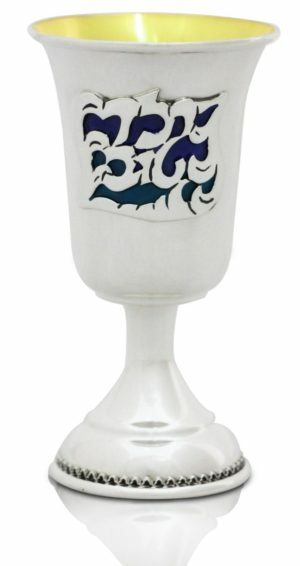 The main cup is decorated with the words ‘Bore Pree Ha’Geffen’ in Hebrew. 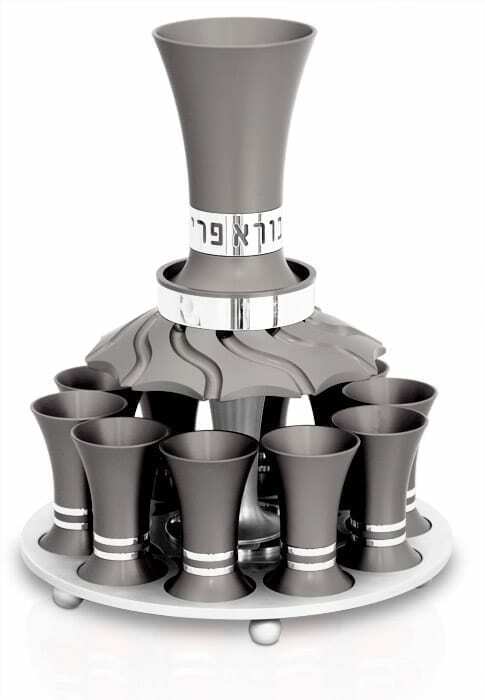 The Fountain is designed to pour the wine evenly into the liqueur cups. 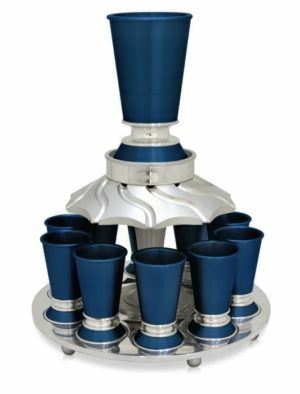 Each cup have teflon coating to prevent oxidising process, that can affect the flavor & quality of the wine. The Kiddush Fountain can be transformed into a liquour tray, by disassembling the midle part of it. Available in different colors for your choice. Our Artist, Avi Nadav, is a third generation artisan from a line of silver smiths who passed down the art of making these special and unique items from father to son.